The JLab Intro headphones are a low-cost pair of Bluetooth headphones. Though not the best, the sound is still decent. 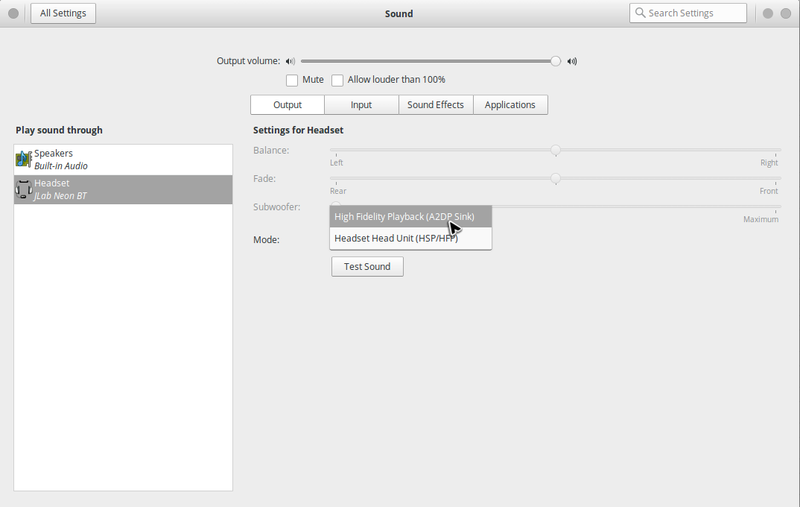 Here’s how to connect the headphones on Elementary OS. First, put the headphones in discovery mode. To do this, press and hold the on/off button for about six or seven seconds, until it starts flashing red and blue. 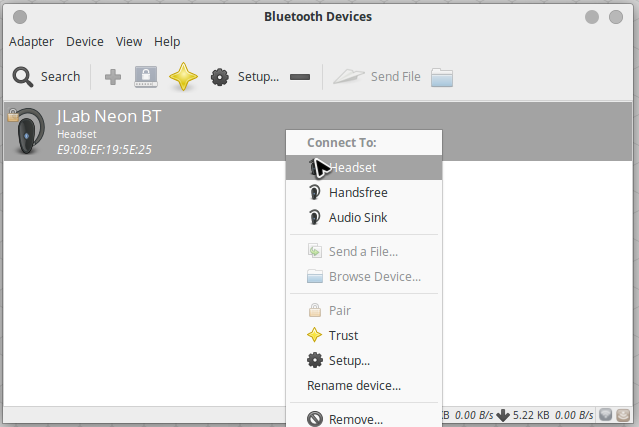 Once you select it, click on “Create a pairing with device” (click the “lock” icon), and Bluetooh Manager will attempt to pair with the headphones. Right-click on the device and select “Headset”. This should tell the headphones to act like an audio device. 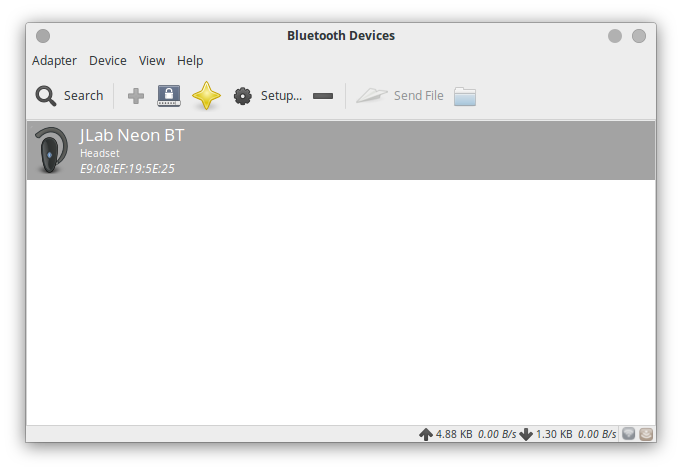 Go into “System Settings” -> “Sound” and select “JLab Neon BT”. Click on the “Mode” dropdown menu and select “High Fidelity Playback (A2DP Sink)”. Some sort of sound should be playing through the headphones. You can also adjust the volume through the volume control on the headphones. After that, you can use the “Test Sound” utility to test that the sound is working.